Dr. C.K. Subbaraya, has completed his Primary and Secondary education at Balehonnur. He did his Bachelor’s Degree from University of Mysore (1977) and obtained his Master Degree from University of Mysore with IV Rank (1980). He did Post Graduate Diploma in Computer Science from University of Mysore in 1983 with I-Rank and obtained Ph.D. degree from UGC-Center for Advanced Studies in Fluid Mechanics, Bangalore University in 1993 with a specialization in Fluid Mechanics. He has published 20 research papers in National and International Journal/Proceedings. Also he has presented several papers in National & International Conferences & Seminars. He has conducted many National & International Conferences & Seminars. He in the editorial board of National & International journals. • National Executive Council Member of ISTE,New Delhi for four terms (2001- 2003, 2003-05, 2006-2008 & 2012-14). • Academic Senate Member of VTU, Belgium for two terms (2001-2004,2013-2016). 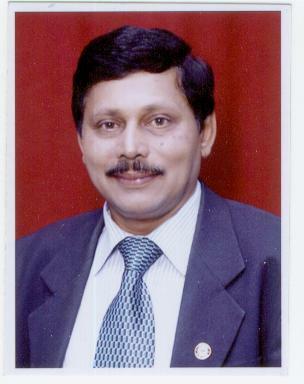 • Executive Council Member of VTU for two terms (2004-07 & 2008 – 2011). • Chirman of ISTE, Karnataka State Unit for two terms (2006-2008 & 2015-2019). • Identified as coordinator for academic collaboration with School of Environmental Engineering, Griffith University, Australlia. For his outstanding achievements in the field of education, he has been honored by many reputed organizations. He has been honored with National Award as Best Engineering College Principal of the year 2005, instituted by Bharathiya Vidya Bhavan. Awarded “Best Engineering College Principal – 2016 Karnataka Region” by IEAE- Institute for Exploring Advances in Engineering also Awarded “Excellent Principal in Karnataka” by Dept. of MNRE, Dept. of MSME, AICTE, AIU, CMAI, VTU during IInd National Karnataka Education Summit & Awards 2016. He has visited many Universities, Educational Institutions and academicians in USA, Singapore, Thailand, Malaysia, Hongkong, Iran, China, Turkey and South Korea. After serving 38 years as Teacher, Administrator, Principal (20 years) he has been elevated to the position of the “Registrar” of prestigious Adichunchanagiri University- Head office at BG Nagara which includes all Higher education institutions of Karnataka State.